A new publican is being sought to take on the St Lawrence Tavern in Ramsgate. The pub, in St Lawrence High Street, shut on August 12 with the departure of tenants Tony and Heidi Haywood who had been at the helm for more than 12 years. Currently there are metal coverings over the doors and the car park is fenced off as work is carried out at the property. The pub is owned by EI Publican Partnerships. 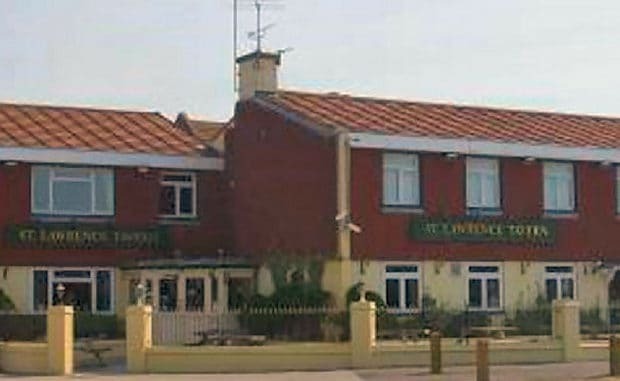 A spokesman said: “We can confirm that the St Lawrence Tavern is currently closed while we carry out essential works and that we are actively seeking a new publican to take on the popular site. “As well as a busy ‘locals’ pub, the site also has a restaurant and separate function room, giving a real opportunity for an experienced publican with catering experience to relaunch this high-profile site.